DJI has just announced a brand new camera system specifically designed for the DJI Inspire 2 drone. The latest camera system is called “Zenmuse X7” and is designed to provide better results for drone cinematography. The DJI Zenmuse X7 features a brand new super 35mm sensor with a dynamic range of 14 stops. The Zenmuse X7 can record CinemaDNG RAW 6K or Apple ProRes 5.2K at 30 frames per second and Apple ProRes 2.7K or CinemaDNG RAW 3.9K at 59.94 frames per second. The Zenmuse X7 also features improved color science and a new D-Log Profile that is called DCCS (DJI Cinema Color System). The new technologies provide a dynamic range that is wider thus offering modern features like HDR and better performance under challenging lighting conditions. 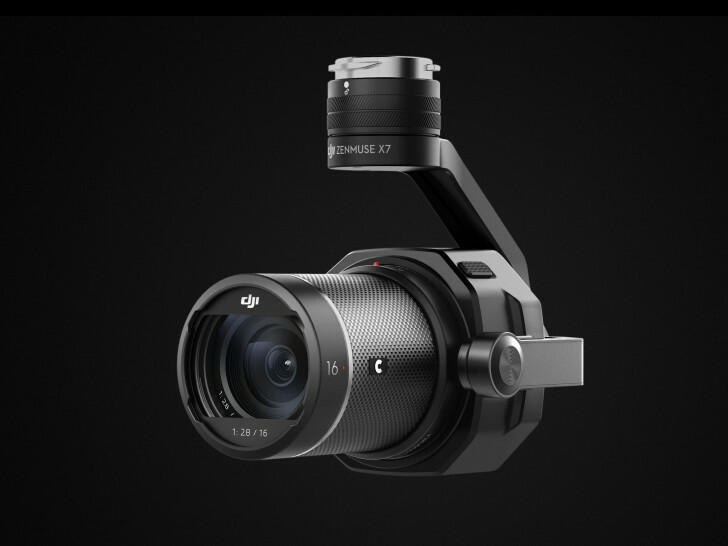 The Zenmus X7 will also feature a new DL-Mount by DJI. The new DL-Mount will have a super short distance between the sensor and the lens. DJI has also announced a new series of prime lenses of focal length 16mm, 35mm, 50mm and 24mm and f/2.8 aperture to work with the new system. The prime lens with 16mm focal length has an ND filter that is inbuilt whereas the other lenses will have a shutter that is mechanical. The Zenmuse X7 is priced at $2,999 and will the sales will begin by early November. The 16mm, 35mm, and 24mm prime lenses are priced at $1,299 per piece whereas the 50mm prime lens will feature a price tag of $1,199. You can also get the entire package featuring the Zenmuse X7 and the four prime lenses for a price tag of $4,299.